For your gaming pleasure, here’s our latest list of recommended math games! All of the games below are web-based, so no downloading is necessary, though you will need an internet connection. Have fun! Students can practice addition, subtraction, multiplication, division, and work with negative numbers and decimals, with this huge selection of games. 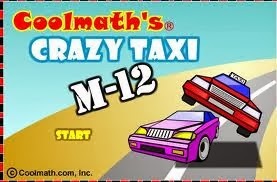 One we particularly enjoyed, Crazy Taxi, let us drive a cab into cars that had specific multiples on them while avoiding cars that didn’t fit the pattern. Caution: Parents, be aware that this site is host to plenty of games that have little to no educational value, too. Keep an eye on screens to be sure kids choose games that have merit, or make a list of games your child is allowed to play before turning them loose. The math arcade is the best part of this large site. Students will start on the first square of this digital “gameboard” and progress forward as they pass challenges. (The game will save kids’ place if playing is interrupted.) This format gives students less control over which games they play, but provides great incentive to keep trying. The challenges are refreshingly inventive. Caution: Same as above. Monitor screens to be sure kids don’t stray into playing other games that are simply for fun. 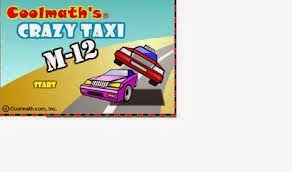 This site links to eight very high quality games all about decimals. Decimal Squares gives kids a fun way to work on traditionally tricky concepts like place value and estimation through fun games like blackjack and darts. There are also some two-player games here, which provide motivation and discourage mindless clicking. 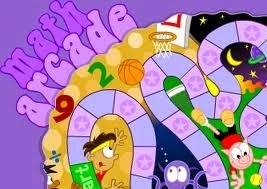 There are quite a few fun, unusual math games to choose from on this site. 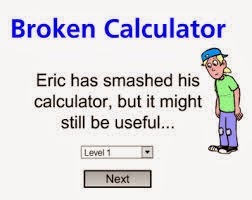 We found Broken Calculator to be especially enjoyable. The player is shown a calculator with missing keys and challenged to make certain numbers using only the few number and sign keys left. We also liked Matching Game which challenges students play a version of memory by turning over digital cards to look for matches like equivalent fractions, multiplication facts and their answers, shapes and their names, etc. Remember, you can always visit our Resources page for links to our favorite games and resources for math, reading, writing, studying, and more!